Verandas surround the main house. Cozy interior with all around views. Full kitchen with all facilities. This is an ideal family house especially for families with young children. Kea is one of the islands of the Cyclades, only an hour from the port of Lavrio. It is full of beautiful and secluded beaches. The house has 4 bedrooms and 4 bathrooms. 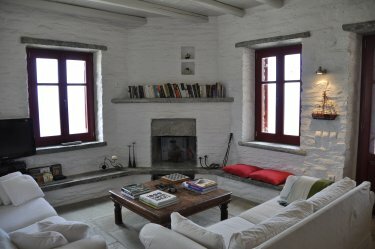 Two of the bedrooms are situated in the main house which is very quaint and cozy. 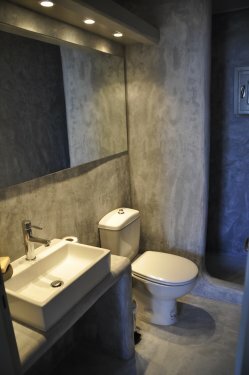 Every bedroom has its own bathroom with shower. 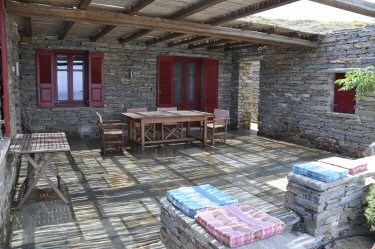 There are verandas surrounding the house and an outdoor barbecue. 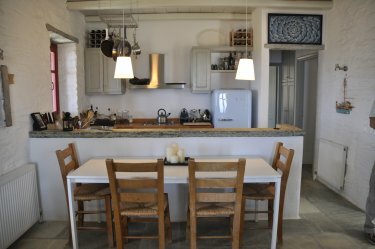 The house is located 7 minutes by car from the yacht port of Vourkari where the nicest fish tavernas are and 15 minutes by car from the main port of the island where the ferry docks. It is about 15 minutes walk from Otzias, one of the largest and prettiest sand beaches in the island. There are also two small tavernas on this beach. This is a beach ideal for youngsters as it has very shallow waters.